Today we talk a walk down the block, blindfolded. The dangers of walking down a busy, uneven, tree-and-hydrant-and-bike-ridden sidewalk blindfolded was no match for our Risk Mitigation System. We assessed the potential dangers--trip and fall, moving objects (eg cars), stationary objects (eg trees) and, of course, stepping in poop. 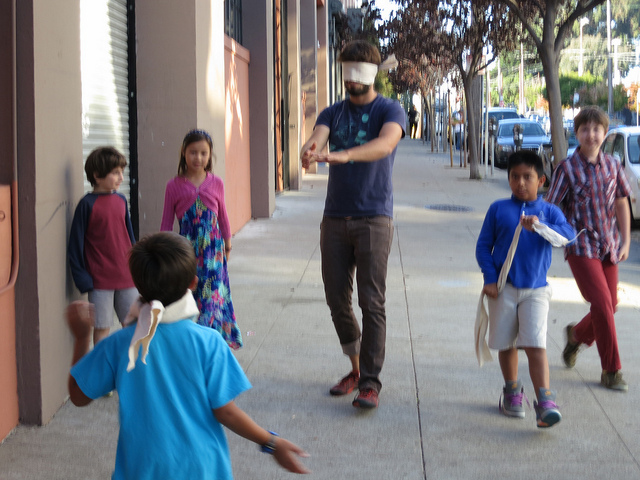 Then we came up with a solution: have each blindfolded person be guided by one sighted person. 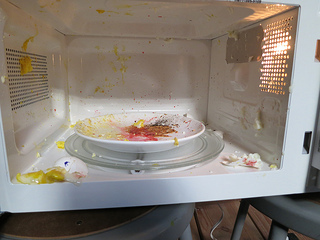 After walking blindfolded, we blew some stuff up in the microwave. This exercise showed off one of our Risk Management System's key principles: Escalate Iteratively. 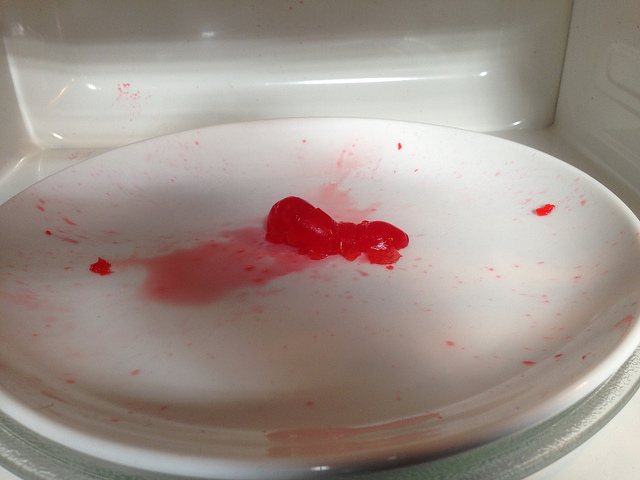 It's hard to emphasize how captivating watching things get microwaved. The window of the machine feels like a screen playing a time-lapse photography film. Changes happen at a pace we're simply not used to. 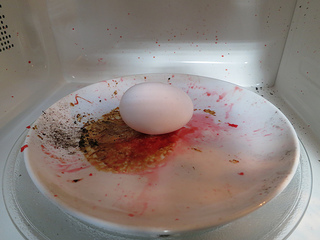 It's well worth a little risk (mitigated by duct taping the dow, wearing safety glasses, and having a fire extinguisher handy) and a slightly bigger mess.